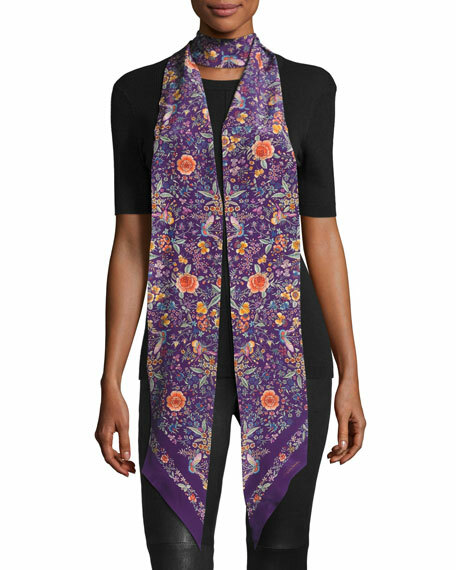 Roberto Cavalli skinny silk scarf in floral print. Approx. 102"L x 6"W (260 x 15 cm). Long dramatic length can be styled multiple ways. For in-store inquiries, use sku #2057481.